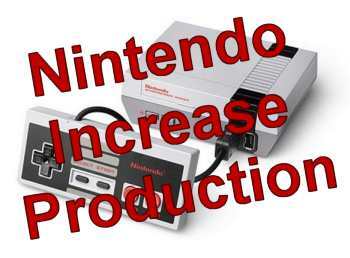 It has been reported that Nintendo are now finally increasing production of the NES Mini Classic console. This will be music to the ears of eager buyers who have been hunting for availability. Worldwide demand for the retro console has been sky high since its launch in November 2016 which has resulted in constant stock shortages. Thankfully reports in early January from retailers that Nintendo were to completely stop production now look completely unfounded. Last week saw brief stock availability on both the official Nintendo UK Store website and Very.co.uk which were quickly snapped up in minutes. Prices on eBay UK have recently averaged around the £100 mark which is double the recommended retail price. Remember to keep an eye on our Nintendo NES Stock Checker for immediate stock alerts.